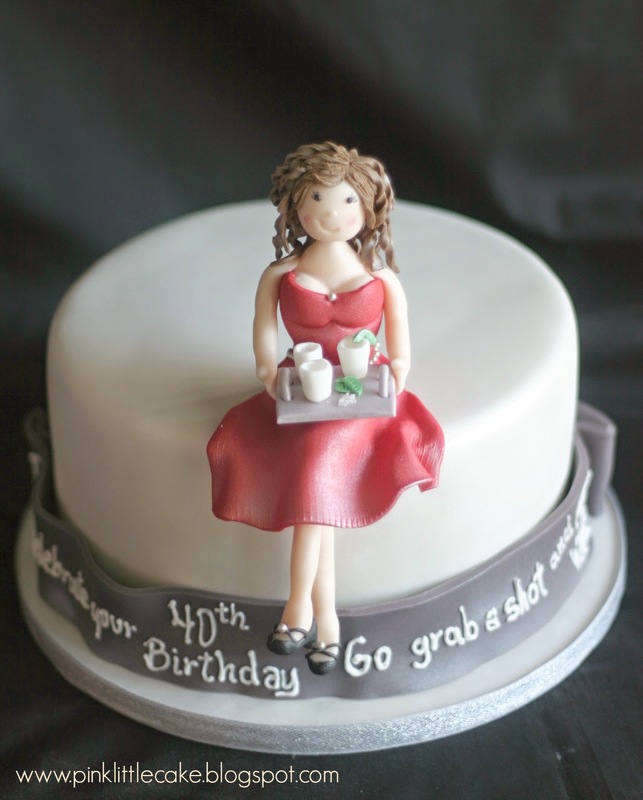 What a fun cake to celebrate a 40th Birthday!! My client was surprising her husband with a small gathering for a few friends and family members. 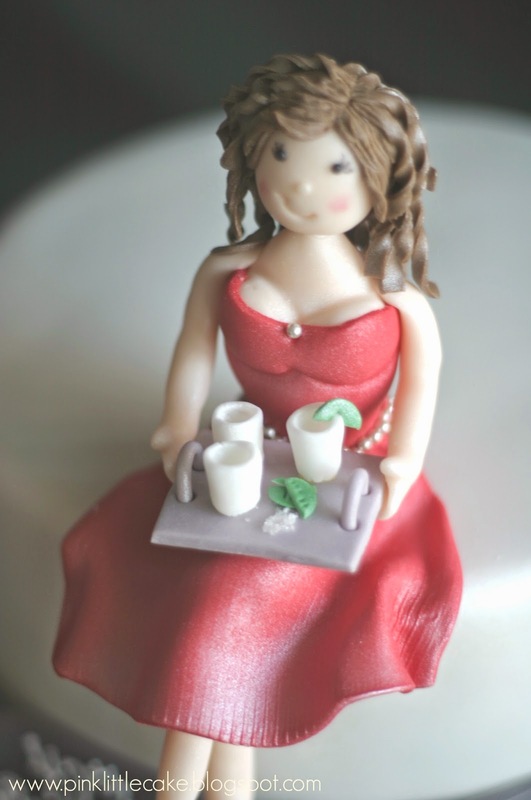 She wanted a small cake with a girl wearing a red dress and holding a tray with some tequila shot glasses.